Unlock the Full Beauty of Your Content. 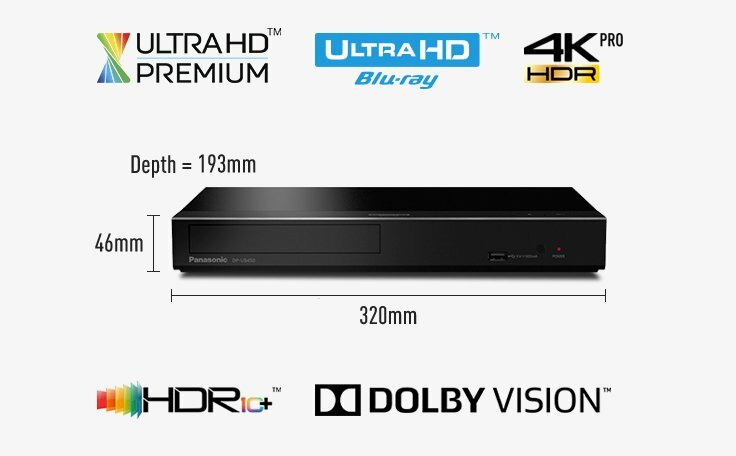 The Ultra HD Blu-ray Player DP-UB450 features uncompromising performance in picture quality. Its 4K Direct Chroma Upscaling function delivers sophisticated 4K images. Together, this creates an unprecedented viewing and listening experience. *Plays Blu-Ray, 4K UHD Blu-Ray and DVD. *DTS, DTS HD and Dolby True HD decoding.